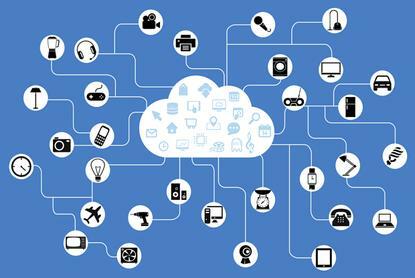 A roundup of recent IoT news from to keep you in the loop. Welcome to what we’re hoping is the first in a long string of regular updates from the world of IoT; everything from security to platform news will be fair game, and the aim is to help you be better grounded in the rapidly expanding Internet of Things space. Schneider Electric, the Andover, Mass.,-based building-infrastructure manufacturer, recently rolled out a new open framework for IoT implementations, dubbing the product EcoStruxure Building. It’s a software platform that makes it easy for sensors and controllers to talk to each other, even in complicated, large-scale building projects where there could be a lot of both types of devices. EcoStruxure Building also collects the data from those sensors into a back-end analysis product called Building Advisor, which uses complex analytics and remote data scientists to minimize energy use and address potential occupant complaints before they happen. In what may be one of the most predictable headlines readers of this piece will see, some of the world’s leading information security professionals attending the Black Hat security conference told the media that unsecured IoT devices still pose a large-scale threat to networks around the globe. The most-talked about aspect of IoT security is the infamous unsecured endpoint. Like the horde of unprotected security cameras fashioned into a powerful botnet in the Mirai attacks in 2016, the fast-growing number of new IoT gadgets is a tempting target for the online world’s bad actors. The folks at Digi International announced last week that they’ve released a new series of wireless modems for IoT devices, called the Digi XBee3 Cellular. These are 13mm x 19mm, so they’ll fit in pretty small edge devices, and they’ve got support for ZigBee, other 802.15.4-based standards, DigiMesh and Bluetooth LE baked right in. You can also use the company’s configuration software, XCTU, for free, letting you set up a network of devices using the XBee3 with a minimum of fuss. Digi said that the modules will gain NB-IoT – that's narrow-band IoT – certification in October, allowing them to be used in standards-based equipment designs. As an addition to the company’s IoT PaaS offering, Ayla Networks rolled out a new portable software agent last week that is designed to make it easier for IoT architects to use whichever connectivity option suits them. The agent is meant to be largely agnostic about the precise make and model of cellular or Wi-Fi modem that it runs on, letting almost any endpoint hardware connect smoothly back to Ayla’s cloud-based management and monitoring system. This potentially adds a lot of design flexibility for companies implementing new IoT systems – as long as they’re interested in using the PaaS architecture that Ayla provides. The consortium behind the ZigBee wireless communication standard for IoT has been quick to trumpet research released earlier this month suggesting that 500 million ZigBee chipsets have been sold worldwide. ON World, a market research firm that covers the 802.15.4 standards category – which includes ZigBee, WirelessHART, ISA100.11a and a host of other low-rate personal area networks – said that ZigBee chipset sales project to 3.8 billion by 2023. The standard’s major strength is in devices for the smart home, and the researchers noted that more than a third of all networked wireless sensors in-smart home implementations were ZigBee-powered. Venture capitalists like GV, NGP Capital and Atomico were interested enough in computer vision/augmented reality/barcode scanning startup Scandit to lead a $30 million series B round late last month, to go with the company’s $13 million in earlier fundraising. Aside from the fact that the soundtrack makes it seem like everyone in the video is participating in some kind of sophisticated conspiracy to smuggle jam around the world, it’s a relatively straightforward of the company’s ambitious goals. Is $43 million enough to reinvent the supply chain? It’d be interesting to know what Amazon thinks about this.